This is going to be a quick one, as I’ve got lots of other pressing business. 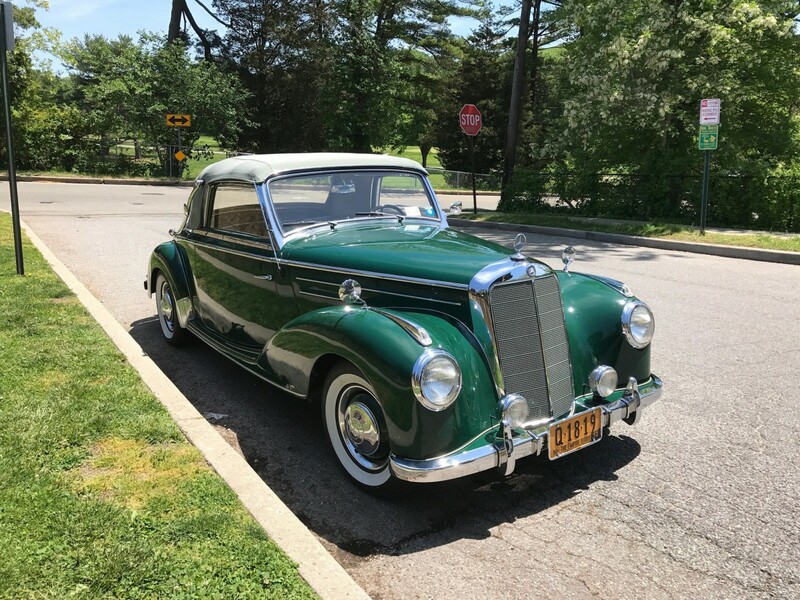 But this very fine Mercedes 220 Cabriolet A (W187), identified as a 1952 model by William Rubano, who posted it at the Cohort, just has to have a bit of CC love here. 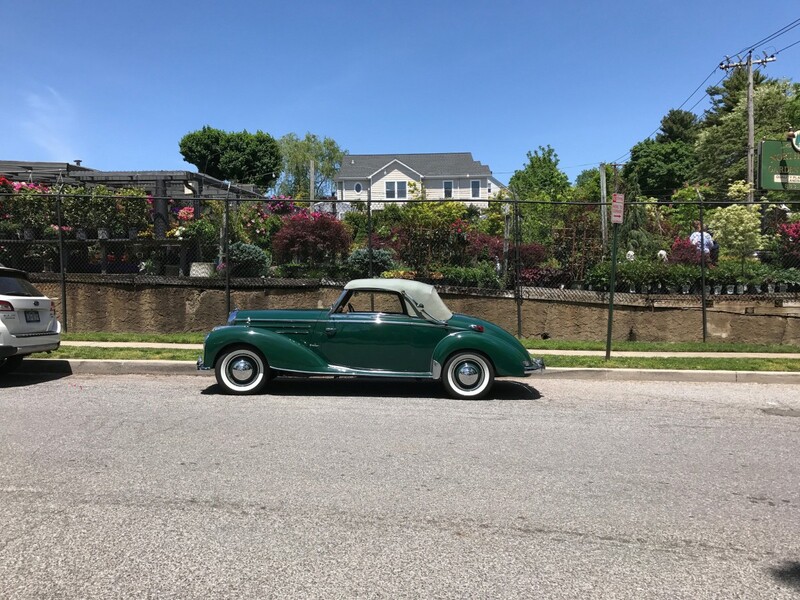 Yes, its styling is mostly pre-war, as was its chassis, but under that beautiful hood sat a brand new SOHC inline six, the first of a long series of classic Mercedes six cylinder family (M180, M123, M110) that would not end until 1985 or so. So this is a marriage of the old and new, and one that was celebrated already at the time as a classic. The W187 220 series was a big deal, as it marked Mercedes’ return to the luxury market, along with its larger and more exclusive 300 big brother. 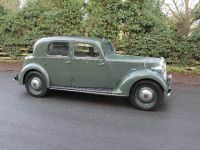 Both were based on Mercedes’ pre-war X-Frame chassis, and the 300s inline six was actually based on a prewar design too, but the 220’s six was all-new, and the first oversquare (80.0mm bore, 72.8mm stroke) six for the company. In its initial form, it produced 80 hp DIN (86 hp SAE), which was an excellent output for the times, and gave this cabriolet a genuine top speed of 90mph (145kmh). 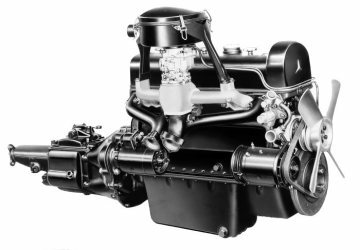 This basic engine would be expanded and developed, ending up at 2.8 liters, and it a;lso spawned the DOHC M110 variant. These engines lasted until the mid 1980s, when they were finally replaced by the much more modern family of engines. The 220 sedan was clearly out of date stylisticall in 1951, when a number of new European sedans already sported the modern “pontoon” look. The sedan’s body was pretty heavily based on the four cylinder 170s, excpet for the longer front end and integrated headlights. 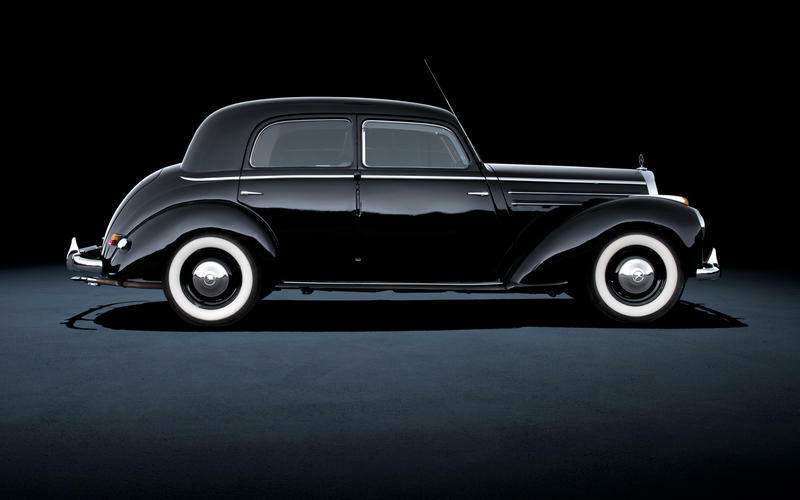 These were pre-war designs, and Mercedes was playing it safe and conservative. 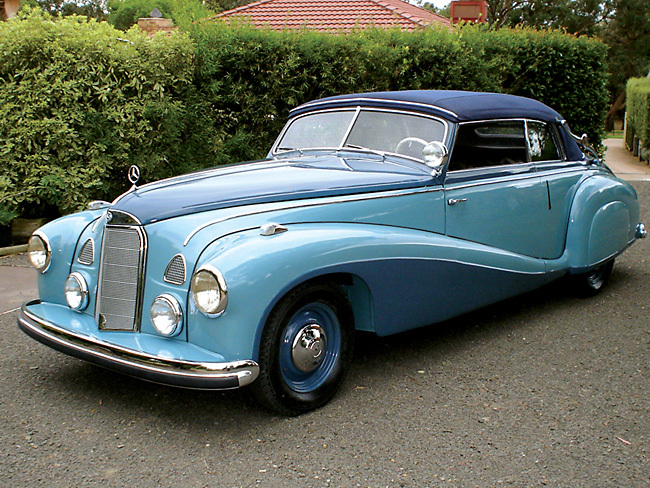 The result is that the sedan’s life was rather short, and in 1954, it was replaced by the pontoon-styled new W180 220 series. But the cabriolet and related coupe enjoyed a much more celebrated life, and somewhat longer too. 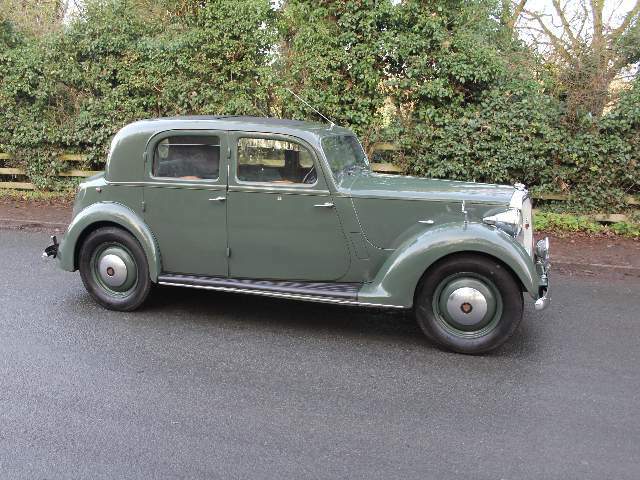 Rather than being seen as old-school and dowdy, these were embraced as a neo-classic of sort in its time, and was a hot car with the celebrity set in its time. They were expensive, exclusive, and thumbed their nose at the current new style, and were successful as a consequence. The cabriolet stayed in production well past the sedan’s end, and was built until August of 1955. Somewhat curiously, its successor, the 220S coupe and cabriolet that arrived for 1957 was never held quite in the same esteem as its predecessor. It somehow came across stylistically as a bit lightweight and perhaps rather too feminine. It just didn’t strike the same chord that its predecessor did. 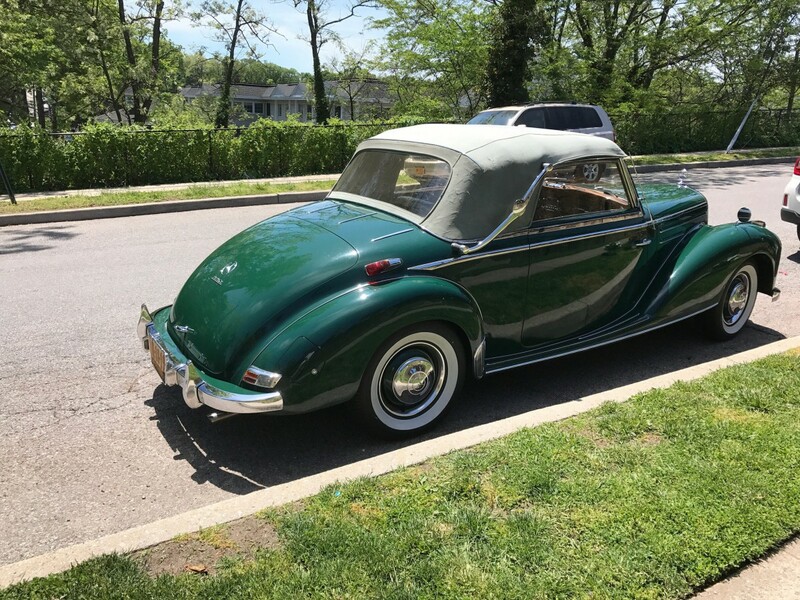 That’s not to say it wasn’t desirable, and it became a collectible quite a long time ago, but without looking it up, I’m probably pretty safe in saying that the older cabriolet is probably worth a fair amount more than this newer one. 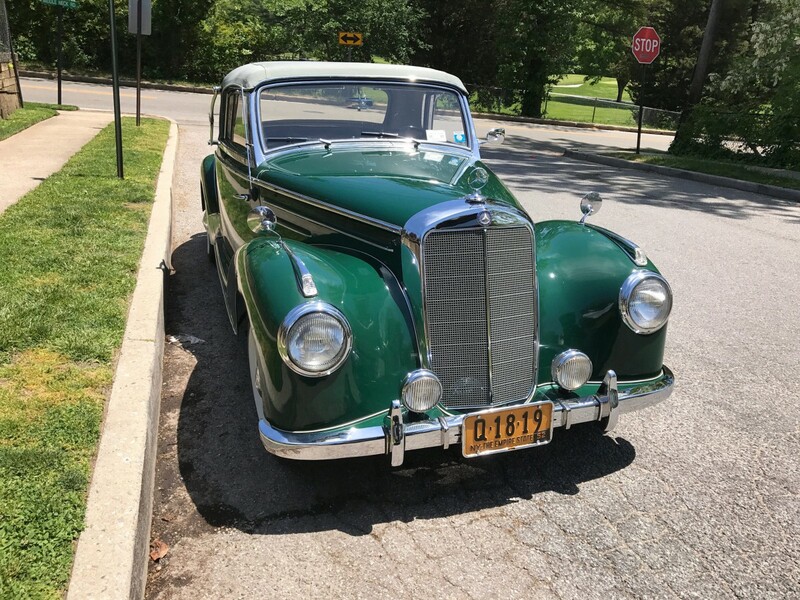 These cars were the last chance to buy a classic Mercedes cabriolet, a marque that had made a huge impression on the world with its superb cabriolets and roadsters in the 1920s and 1930s. It’s no surprise that not long after it disappeared from the market, neo-classic imitations like the Excalibur appeared to satisfy the seemingly endless thirst for classic Mercedes. What a majestic car. I obviously am looking at the wrong curbsides. I can’t remember ever seeing one of these on any real street. I have seen a few on imitation streets in museums. No matter what they’re next to, they stand out. Photographed with no other vehicle the size appears larger than it really is. Parked behind a Subaru outback it’s real eye opener…. not that big. A beautiful car! That final shot shows how small it is in relation to the modern world. I also love that color, a shade that seemed to be so popular on trucks but rarely if ever seen on cars of that period. I had to look it up, but it was indeed the later 220 cabriolet that Cary Grant drove down that curvy road in Hitchcock’s North by Northwest in 1959 after getting forceably liquored up by bad guys. ‘No, I Did NOT take Loora`s Mercedes”. Paul’s suggestion that the 1957 car might be “too feminine” is interesting. It’s certainly less majestic than its predecessor. I wonder if a more-vertical grille would have helped it look more imposing. I’ll bet that at least part of the appeal of the earlier 220 cabriolet was its resemblance to the pricey big brother 300S. I’ve always thought that these and the 300 are some of the most beautiful M-B vehicles ever made. I have read that in the case of the 300, no 2 front fenders are exactly alike – all hand fitted. A major headache for anyone restoring one! Beautiful. It is amazing that MB got back in business at all after the devastation of WWII. I am sure they were concentrating on getting the mechanical stuff right in 1953 so new body styles and related tooling would have to wait. I’ll bet there is a good story/book somewhere that details all the trials and tribulations of their rebirth. Apart from its integrated headlights, the 220 sedan looks like a rounded postwar Rover. I’ve seen this car when Shannon’s had it up for auction! And except for the surfeit of front grilles, the shape of the hallmark Benz grille and the colours it would be very easy to live with. I recall Indonesia figured in the story somewhere. Recently read a story about the very long term ownership of a white 220 cabrio by Arlo Guthrie. He bought it in California, drove it to his home in Massachusetts and kept it for decades (with good local service available and provided). 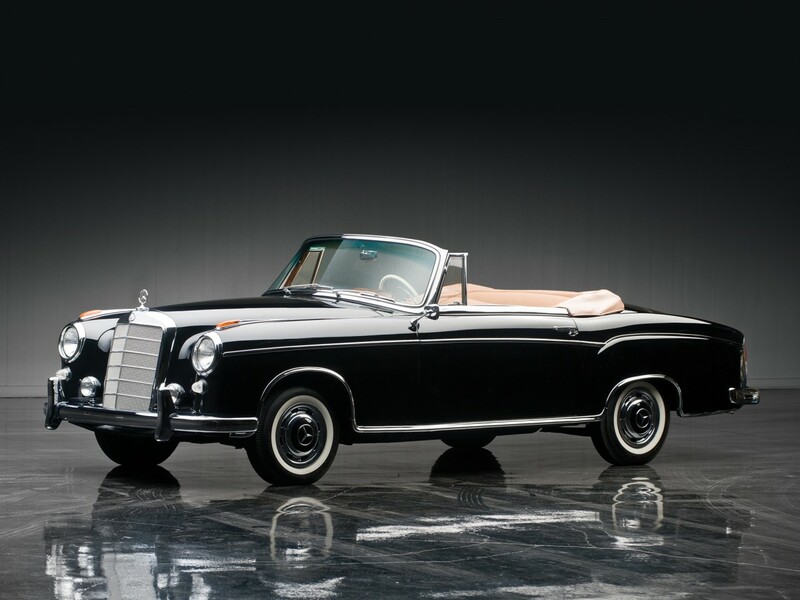 George Falconer, Colin Firth’s college-professor character in the movie A Single Man, drives one of these.